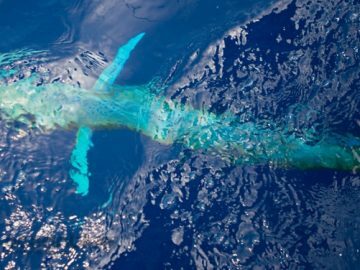 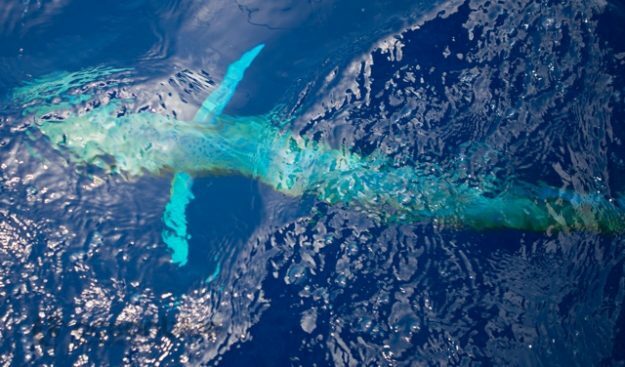 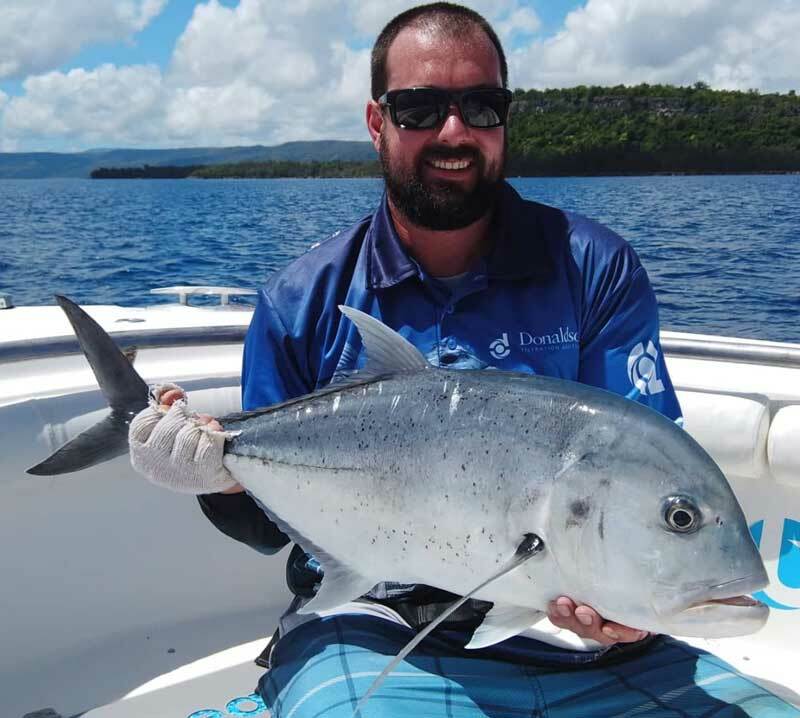 Taking full advantage of great conditions and glassy seas, Andrea Traverso (Ocean Blue guide) suggested exploring a bit further afield, hitting some remote seamounts for doggies. 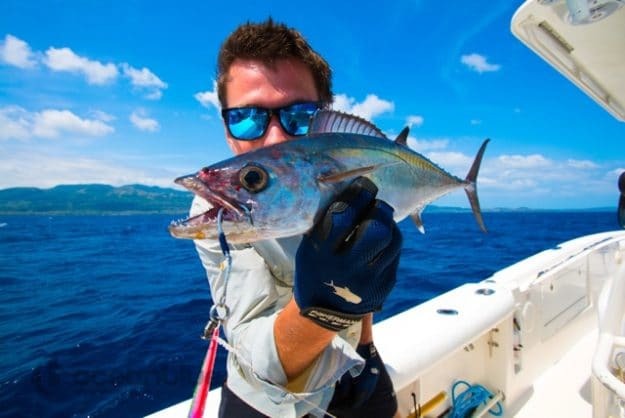 Daniel Risley, Greg Goess and Atha Tolios had never experience anything like this before. 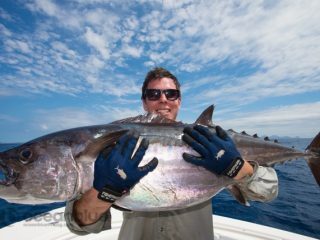 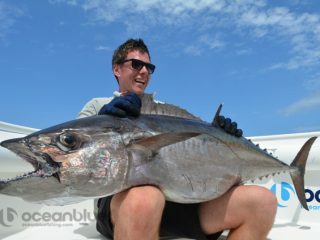 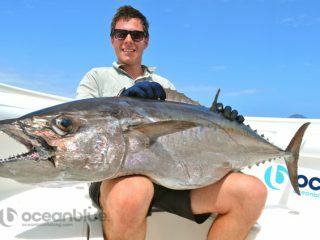 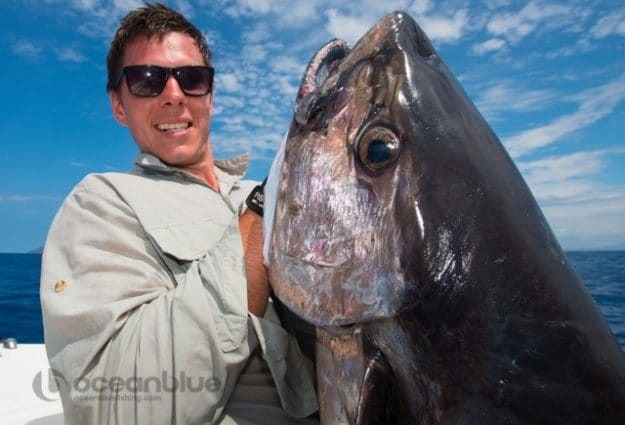 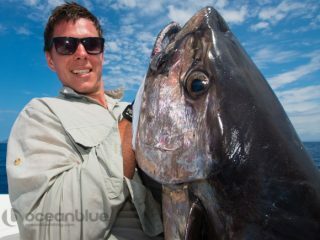 Jigging in 200 metres of water for big doggies is hard work but so rewarding when that trophy fish is hooked. 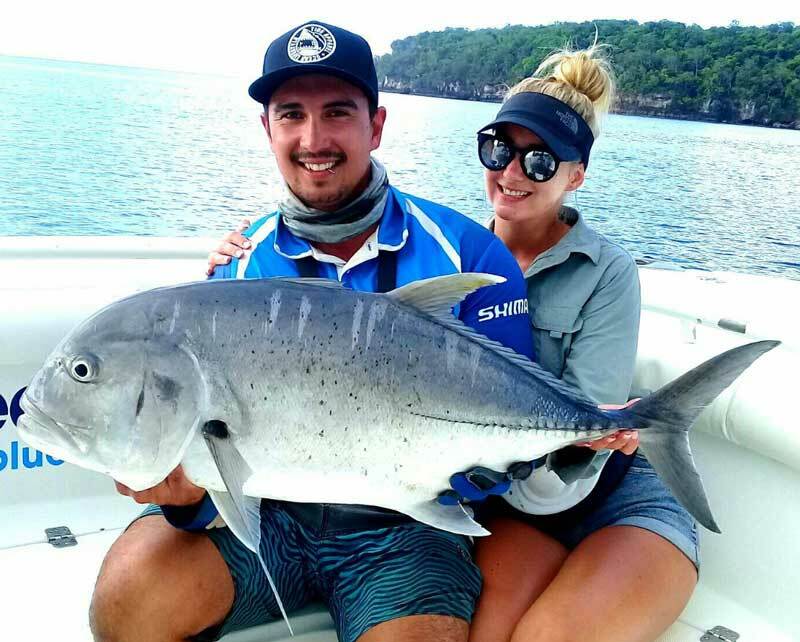 The trio got smoked on a few big fish and landed 1/2 dozen doggies with the biggest weighing 30kg and a nice 10kg model on micro jig. 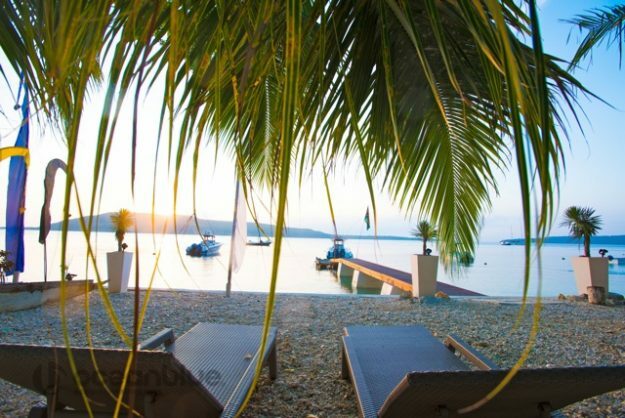 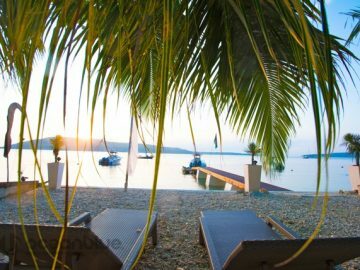 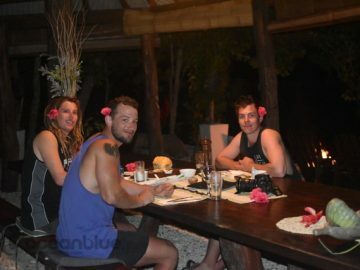 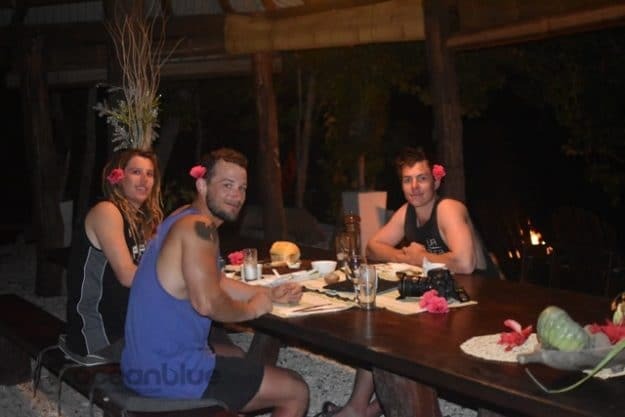 By the afternoon all the guys could think of when they reached Trees and Fishes was to have a few cold Tuskers, a cool swim and gourmet dinner. 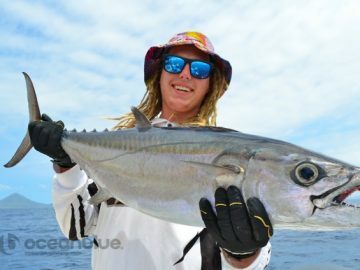 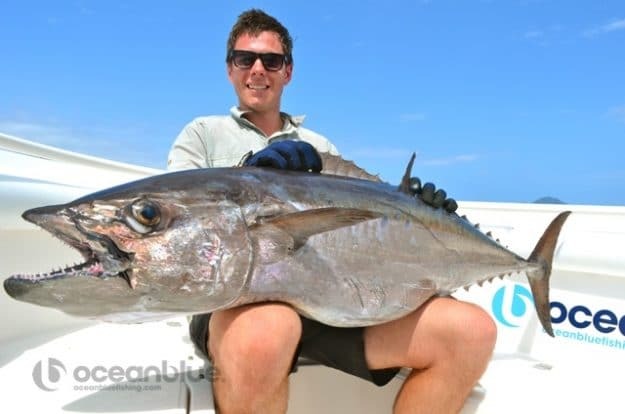 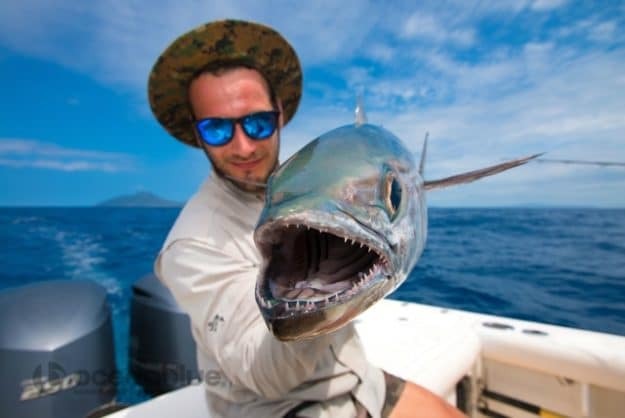 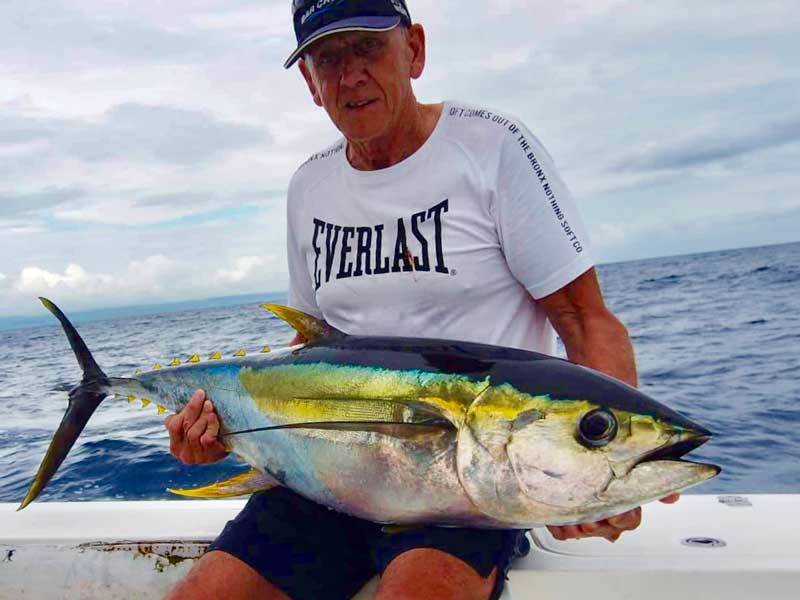 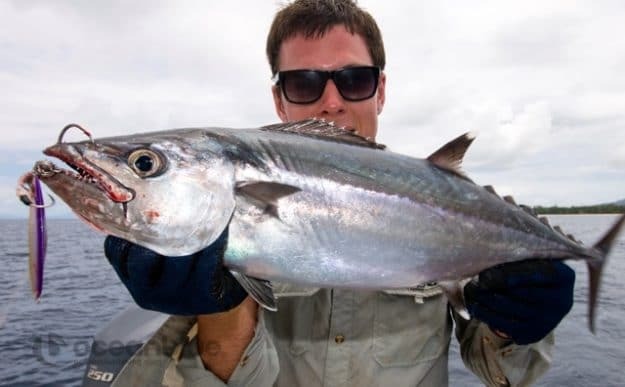 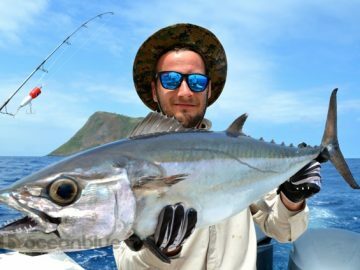 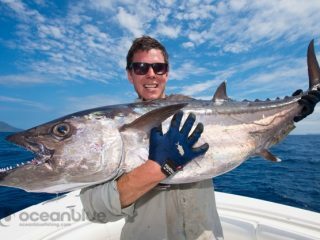 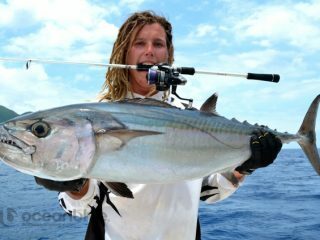 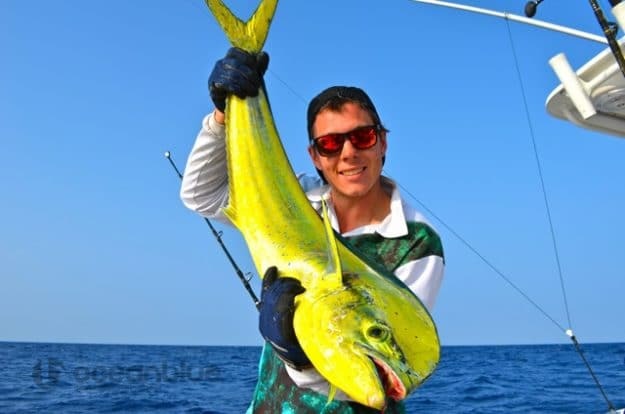 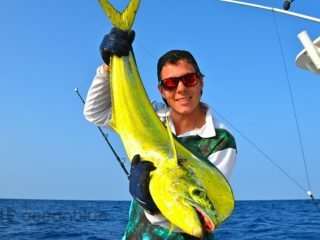 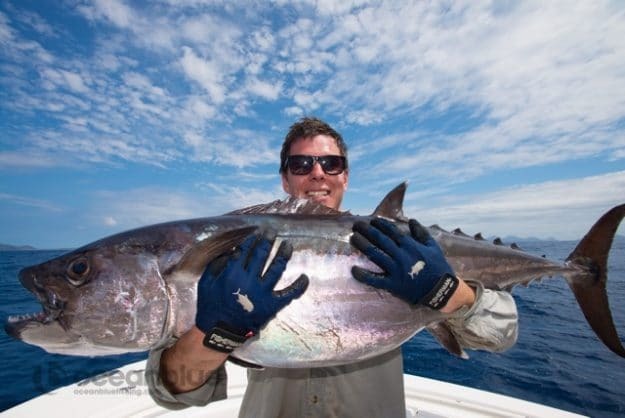 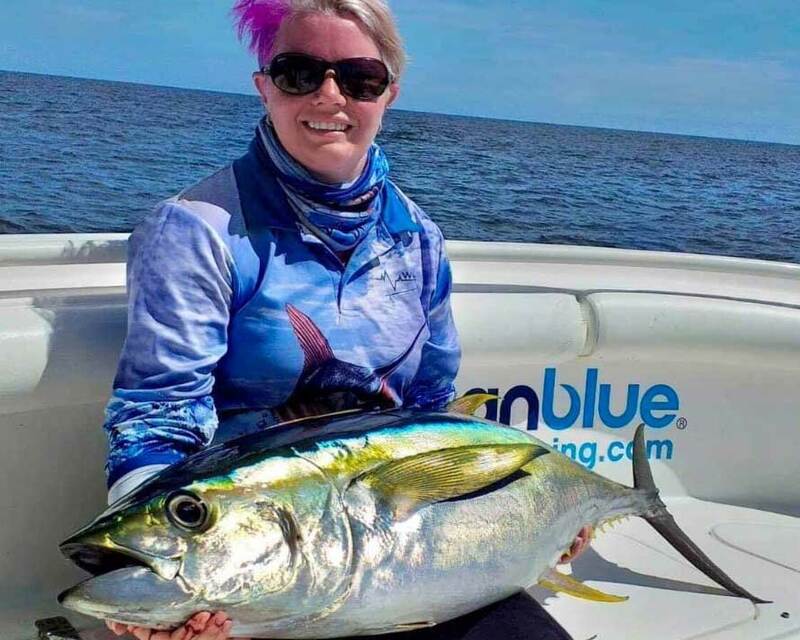 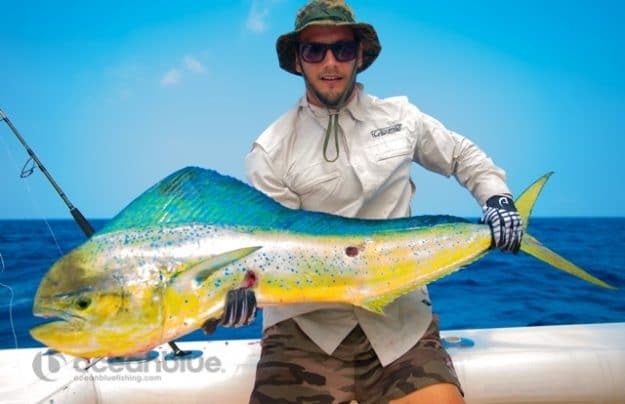 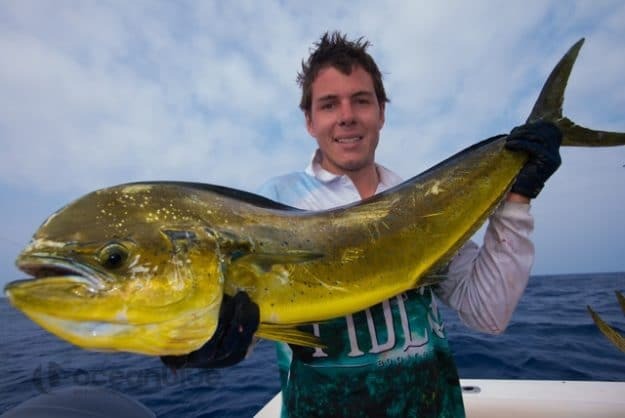 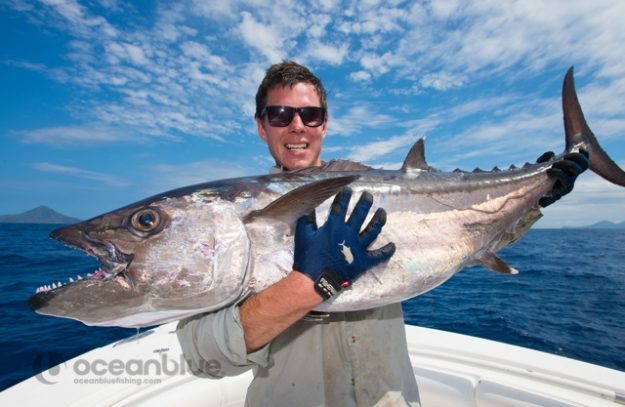 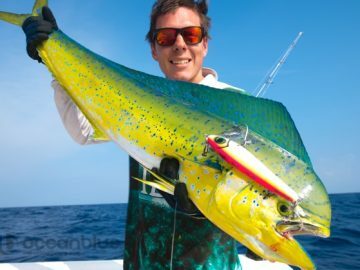 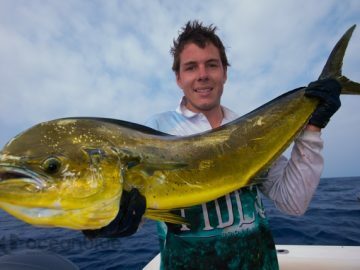 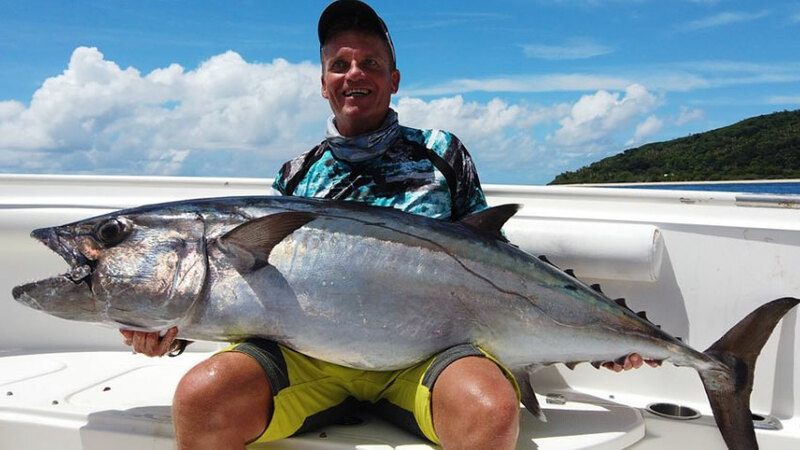 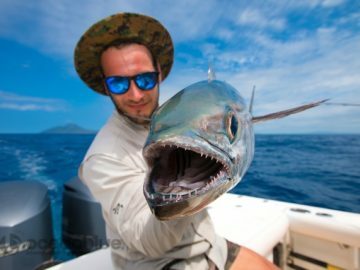 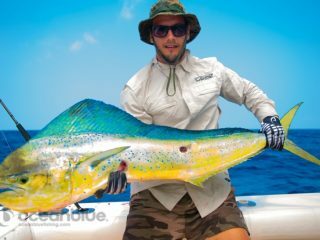 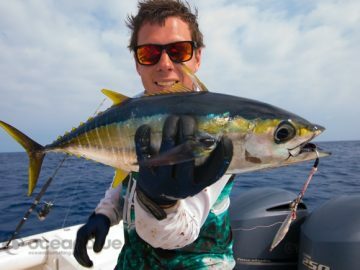 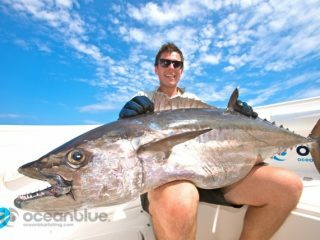 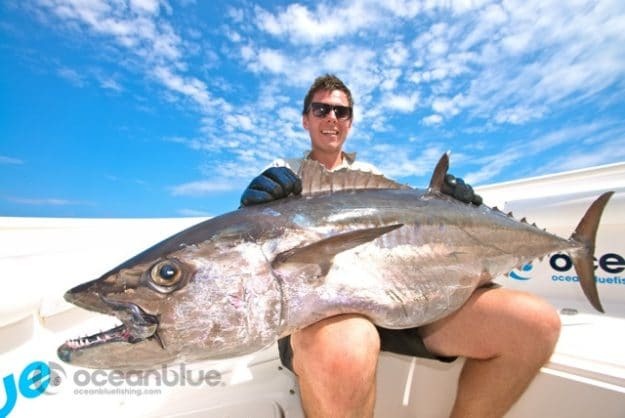 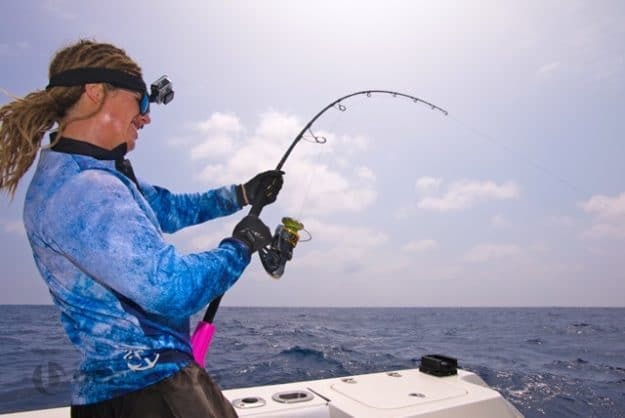 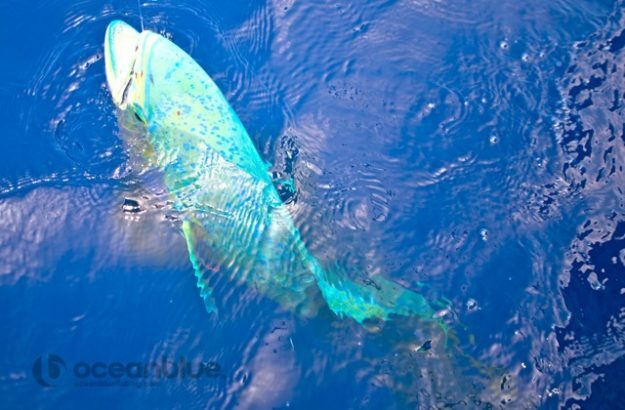 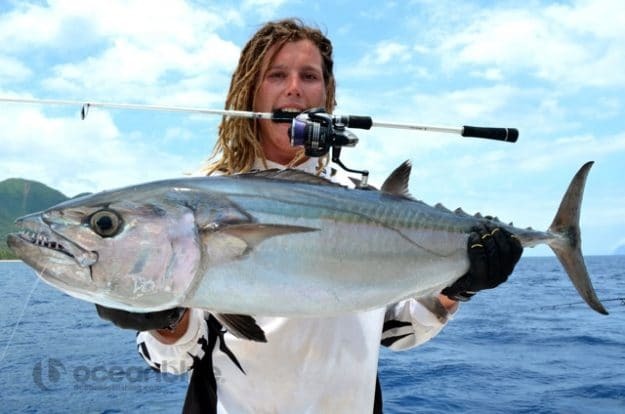 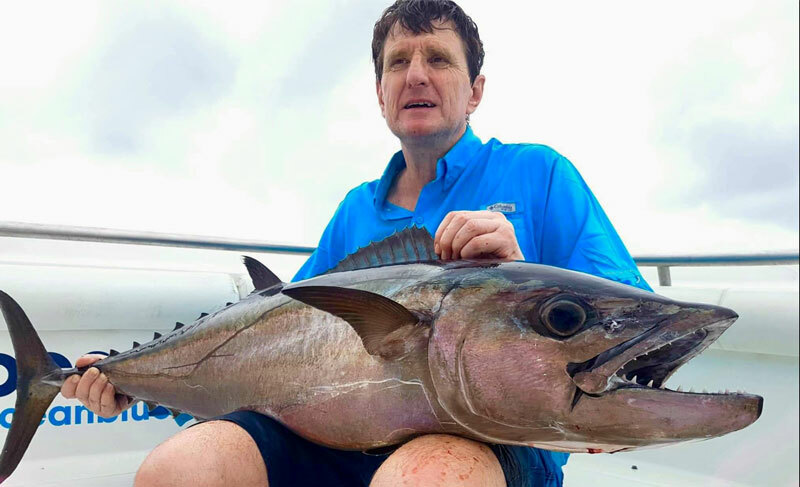 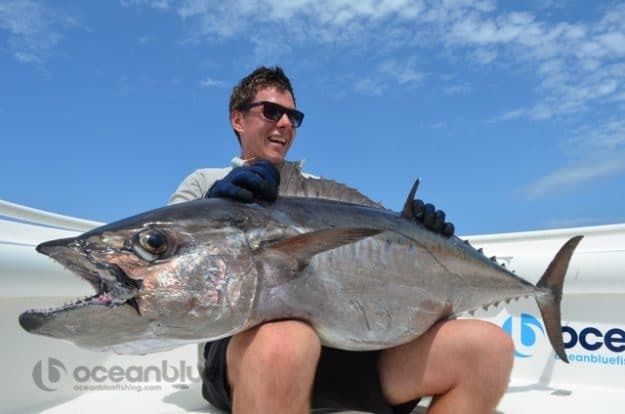 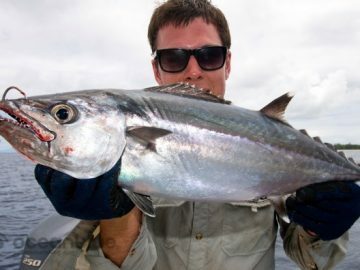 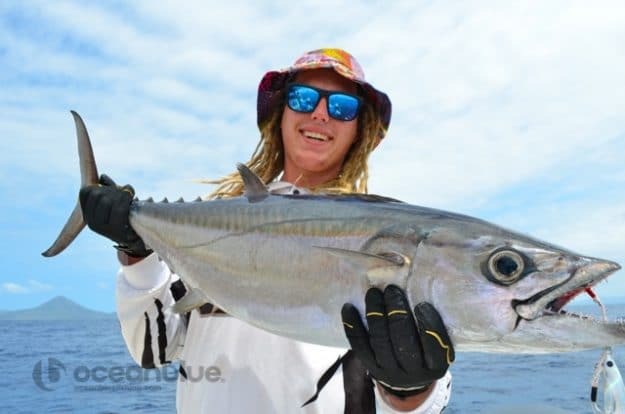 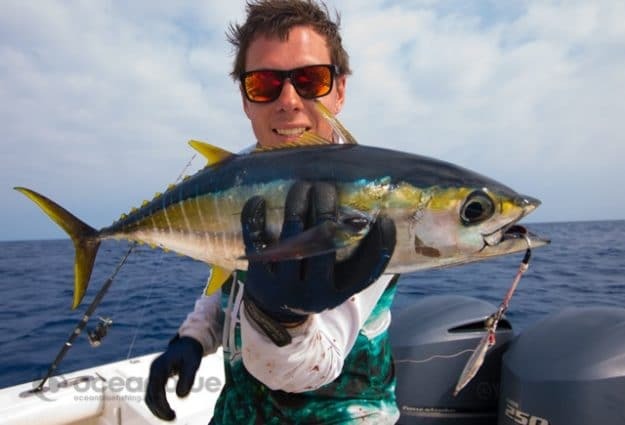 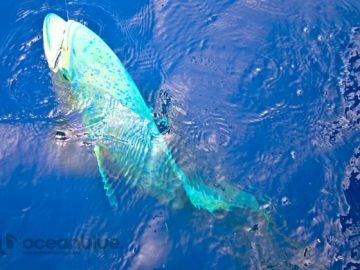 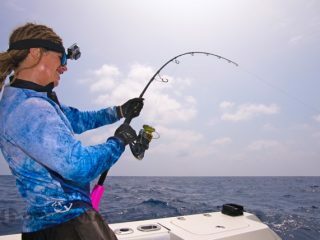 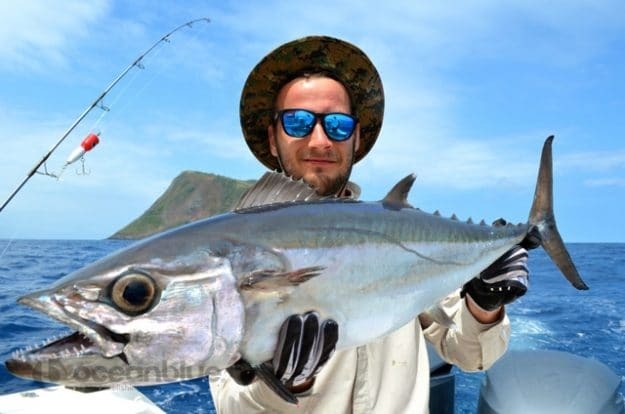 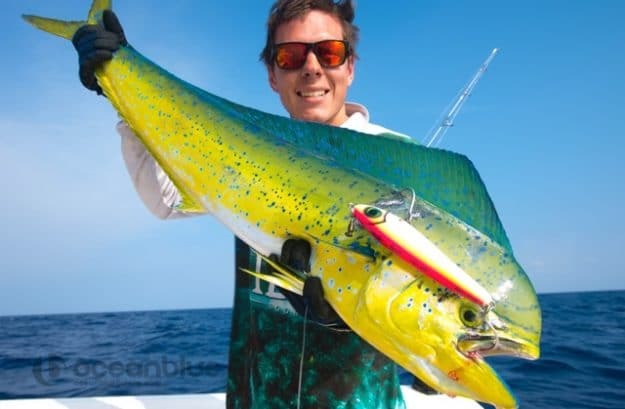 During this trip the guys also fished around the FAD’s chasing big yellowfin on popper and landing dollies on skirts, topwater and bait as well as target jigging for jelly bean yellowfin and skipjacks on micro jigs. 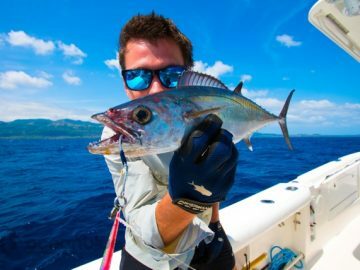 The Best Fishing Experience Ever!